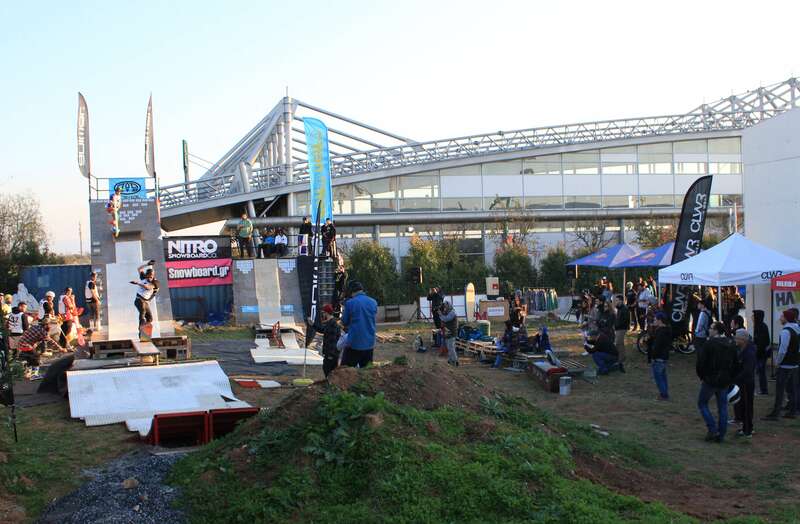 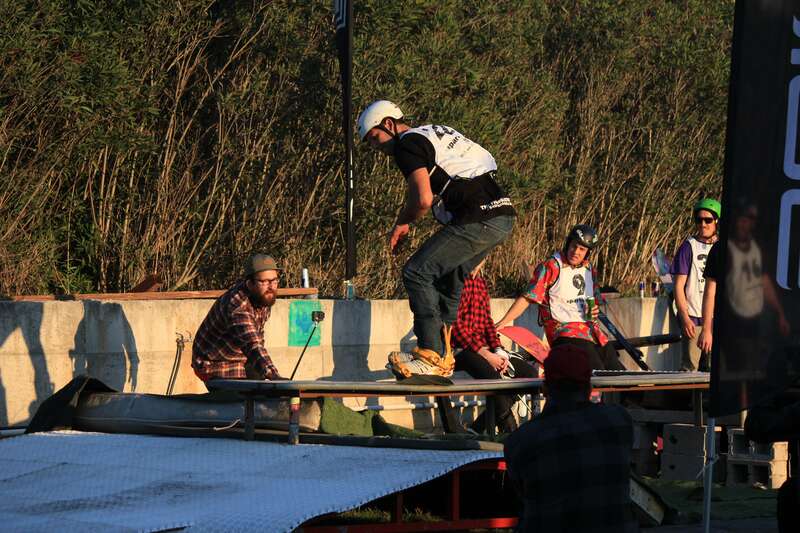 Two towers with a layer of dry slope as a start point, one rail, a box between gap and a kicker ramp were built to cover the event located in the backyard of North Park Indoor Skatepark gathering riders from different places of the country to gain happiness riding the obstacles and enjoy the Fest. 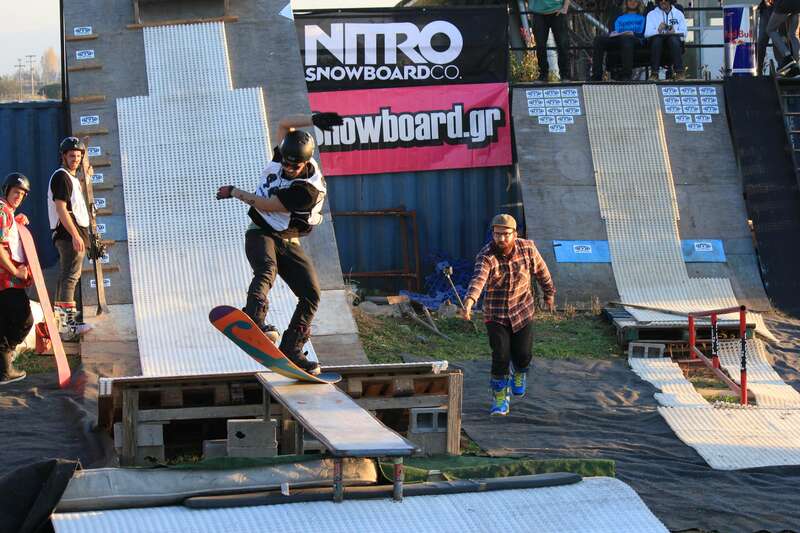 The contest finished almost before the sunrise, finding all participants with a great smile of joy. 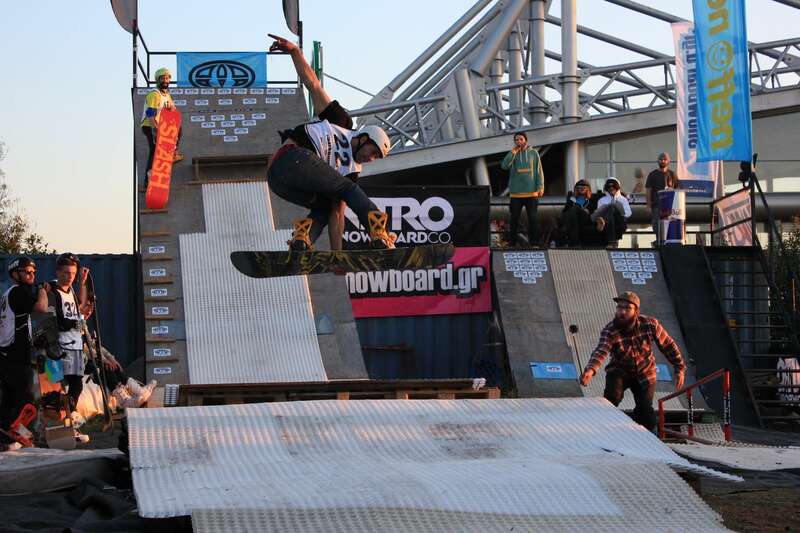 Bowl and best trick skateboard contest took place right before the premier of the movie The Thing About Greece a snowboard documentary about the Greek mountains and snowboard riders, which was the main theme of the Flow festival. 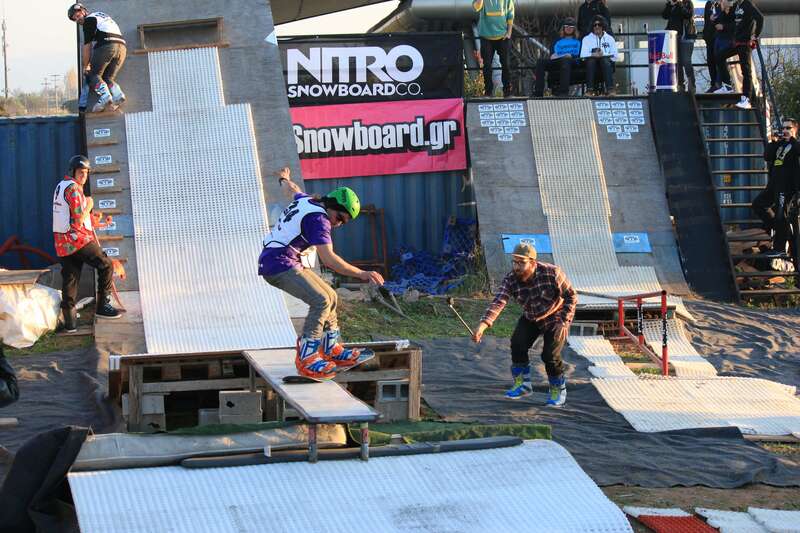 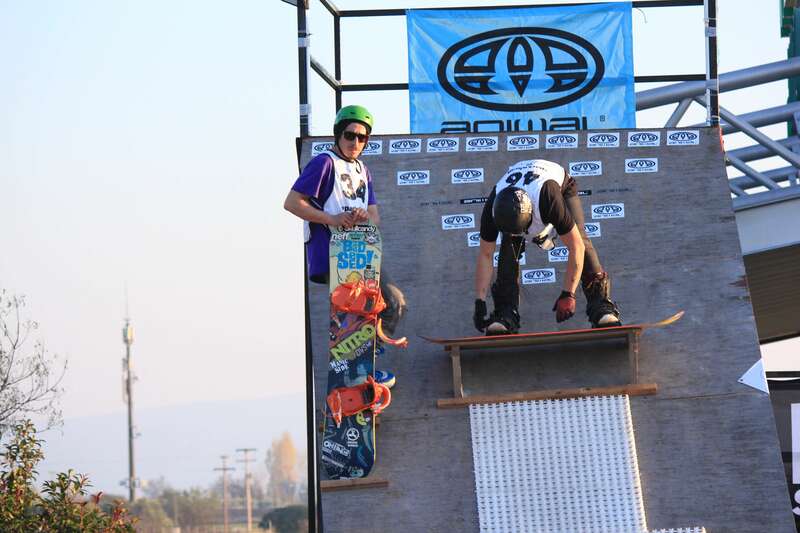 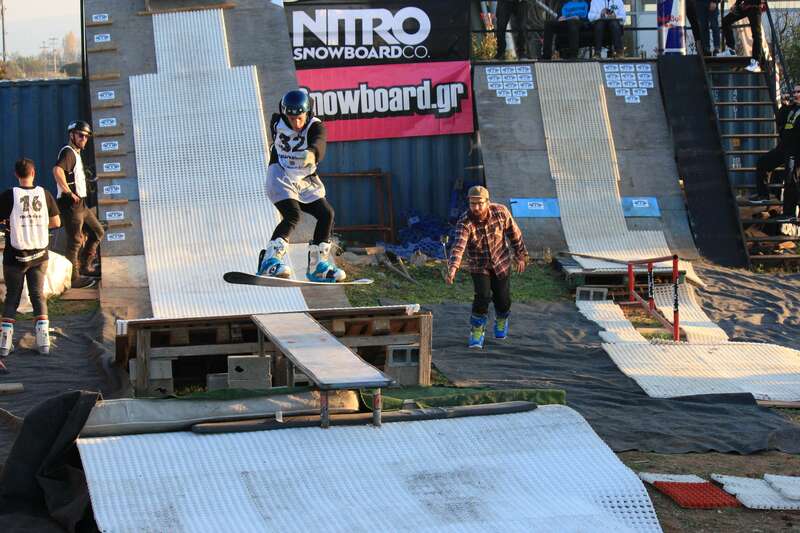 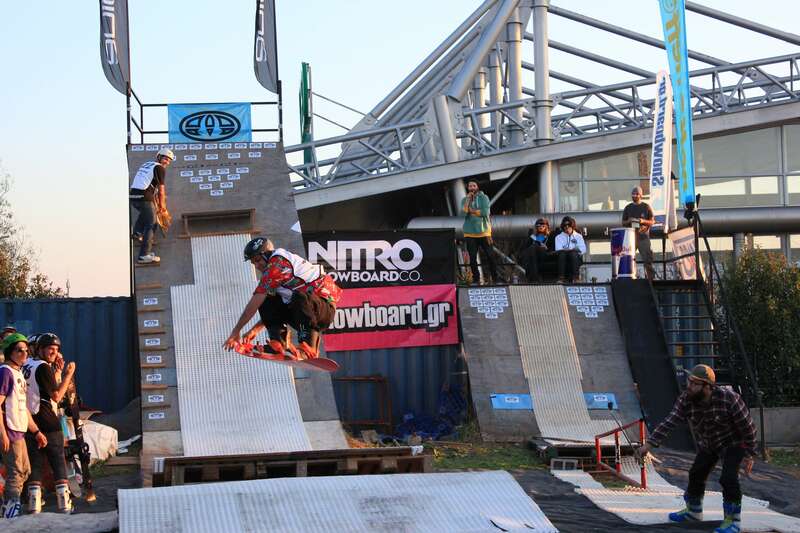 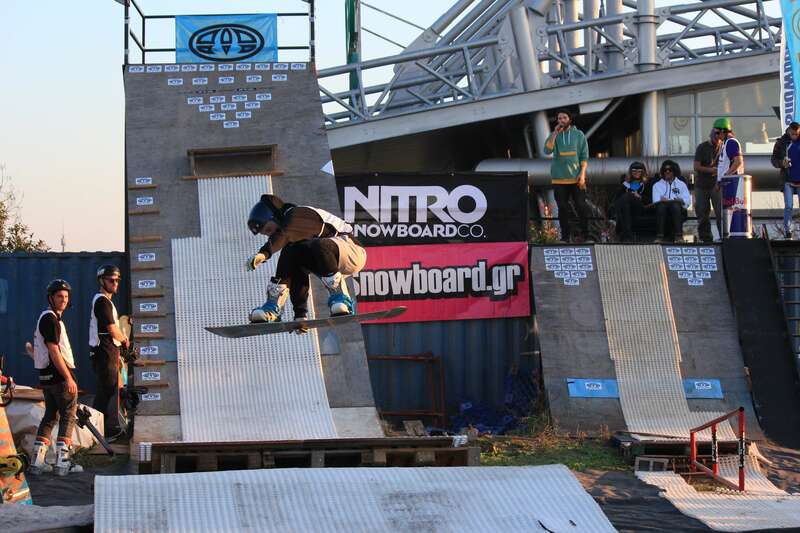 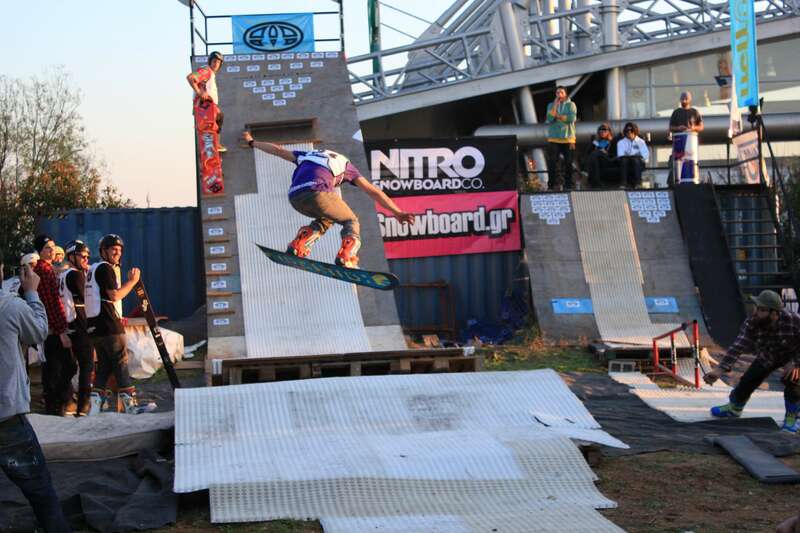 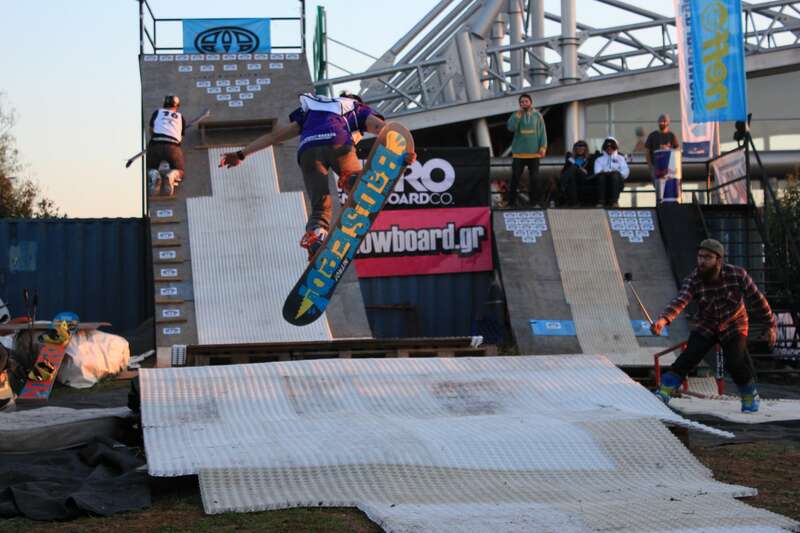 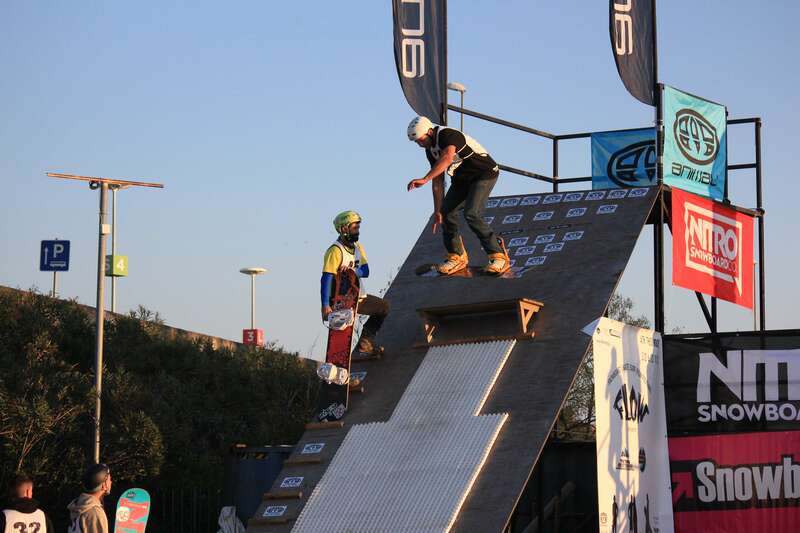 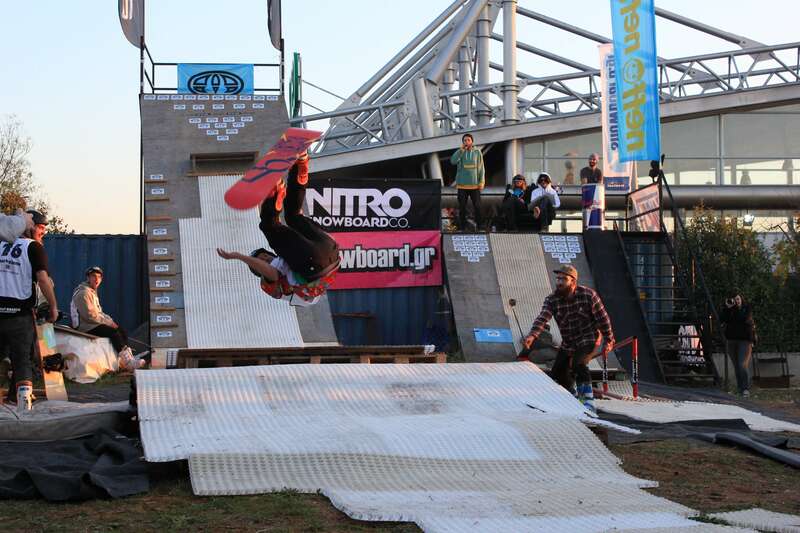 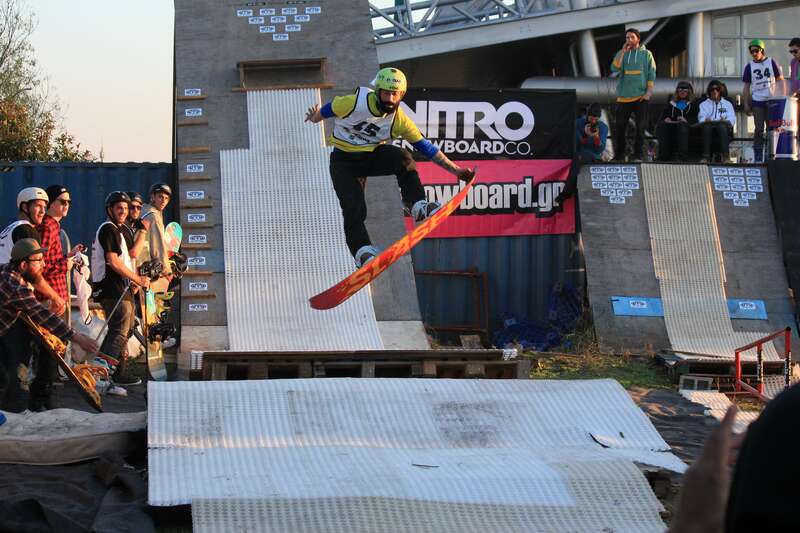 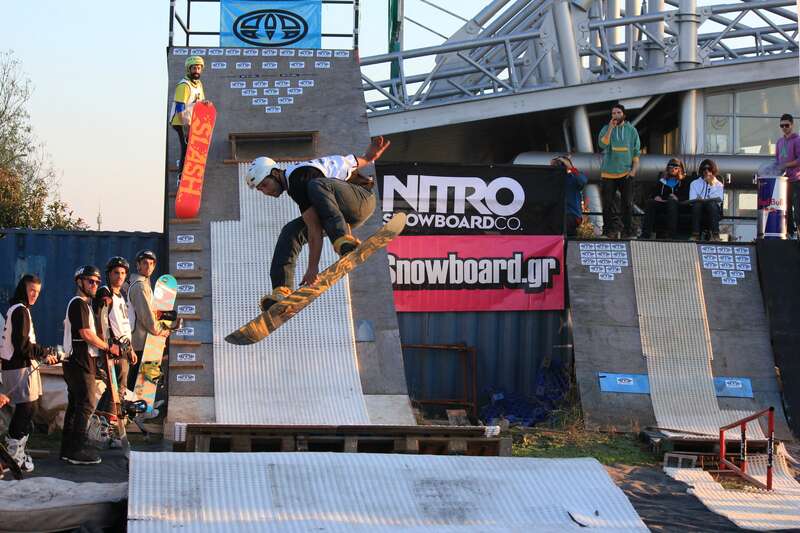 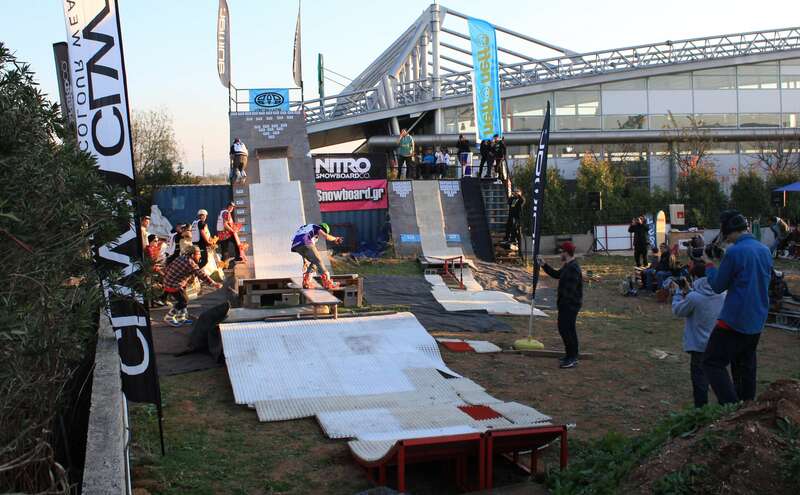 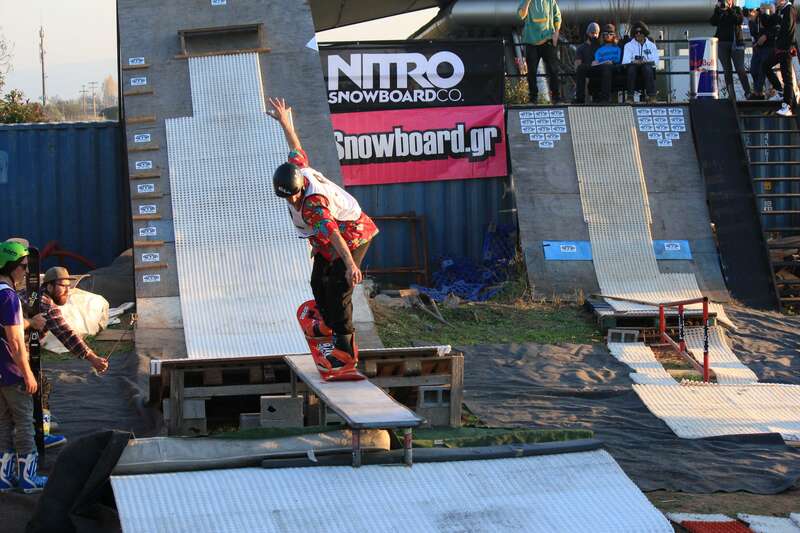 The 1st place was taken by Spiros Badios landing tricks with style on all obstacles that he used, while Karpouzas brothers, Marios and Christos were 2nd and 3rd winners of the contest.